High-end beautiful Shisha! LouCii X3 is the new generation of MYA®, not comparable to their other Shishas! This is the new generation of MYA®. Made exclusively for the European market. This has nothing to do with the traditional MYA® Shisha, much higher quality and much better materials, resulting in a high-end smoke experience! The unique Mya LouCii X3 celebrates its premiere with the latest innovation in the hookah world. 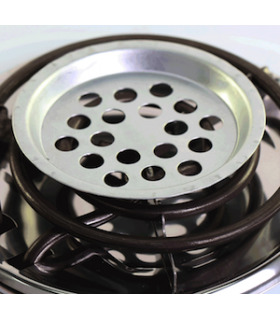 The patented XFunction technology is an internal smoke clearing system with cooling effect. The mechanism is realised by a second tube next to the dip tube or downstem, which is not submerged in the water. 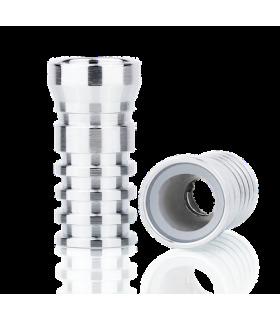 When the valve is closed, this causes the air to escape through the second tube through the tobacco head when blowing into the mouthpiece. The Effect of XFunction Technology: During shisha smoking, you can simply blow out the stubborn old smoke from the base AND the smoke column. The second ingenious plus is that you also keep the coal on and refreshed. The Mya LouCii X3 can not be surpassed in innovations: the X3 has the established click closure system. Thanks to the quick-lock procedure, the smoke column is stably connected to the glassbowl with just a few movements. The hookah consists of a very stable shisha glass and a very well processed column of high quality metals. The Mya LouCii X3 is delivered as a complete package, which includes a tube with mouthpiece as well as a tobacco head and tongs included. Comes complete with head, hose, tongs, carry box.